HCM City – The HCM City Department of Construction has called for amending the agricultural zoning master plan, promoting housing development and changing the construction inspection model to reduce violations, which increased by 16 per cent year-on-year in the first 10 months of this year. “Each locality must decide which lands cannot produce crops any more to amend the master plan and avoid a situation where urban plans are made on fertile lands while land suitable for urban development is used for farming,” Trần Trọng Tuấn, director of the department, told the Sài Gòn Giải Phóng (Liberated Sài Gòn) newspaper. Nhà Bè District Party Secretary Nguyễn Văn Lưu agreed with Tuấn, saying current land use and construction plans were released nearly 10 years ago and many things need to be changed. “Many places were earmarked for building new residential areas or green public spaces, but now people are living there. Tuấn cited the example of Bình Chánh District, whose 25,000 hectares of land includes 10,000ha of land designated as agricultural. But agricultural land in Phạm Văn Hai and Lê Minh Xuân communes don’t produce crops as there are industrial parks in these communes. He revealed that by the end of this month his department would draft regulations for issuing licences for temporary construction on agricultural land and changing the purpose of farm land that is no longer fertile. “There is real demand and the department must guide local authorities in meeting development demands and reducing unlicensed construction,” he added. For instance, he pointed out, some constructions need to be done on farmlands for growing organic vegetables, but cannot get licences. In many places, the local community needs buildings for activities such as sports on unused lands, he added. So far this year the authorities have uncovered 2,545 cases of construction violations, 48 per cent of them without licences and 37 per cent violating licence provisions. Faced with a shortage of space for economic activity, HCM City wants the Government to give it more authority to decide land use. 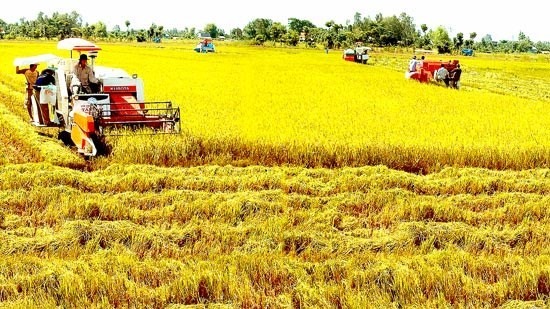 It has also petitioned the National Assembly to adopt a resolution allowing it to use 10 hectares or more of contiguous rice paddies for other purposes. The city is focusing on the development of services and industry, and needs land for the efforts. According to land use statistics, farm lands accounts for some 118,000ha, or more than 55 per cent of the city’s total area, but agriculture makes up less than 1 per cent of the city’s economy. Services and industry use 14,265ha, or 6.8 per cent, but make up 99 per cent of the economy. According to the city People’s Committee, services and industry add 813 times the value agriculture does from a hectare of land. Thus, if just a quarter (28,875 hectares) of the agricultural land is used for services or industry instead, the economy would expand 1.68-fold.